It’s Speedy Tuesday today and after the recent passing away of Neil Armstrong – perhaps the most famous Speedy owner – we thought we need to focus on a special Speedy. What would be better than to put a Speedmaster in the spotlight that has a moon and stars on the dial? Picture from Antiquorum’s Omegamania auction. One of our friends and avid readers of Fratellowatches sent us two pictures of his ref. 345.0809 Speedmaster Professional Moonphase. This particular model has been re-introduced in 1999 with some minor changes to the dial (and a modern bracelet). However, Speedy enthusiasts prefer the original model which has a somewhat cleaner dial and the famous reference 1450 bracelet. The movement inside is a cal.866 (nowadays a caliber 1866 after an upgrade in the late 1990s), which is basically the caliber 861 movement with an add-on module for the moon phase and date complications.This watch has a clean case back, only the Seamaster logo has been engraved as we know it from other Speedmaster Pro watches as well. 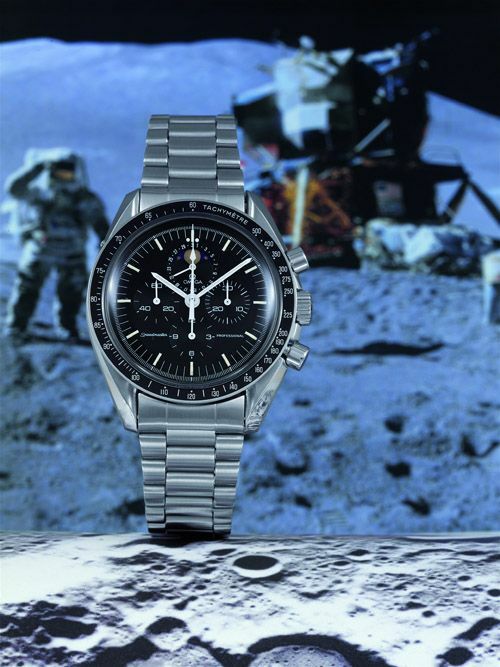 There is no ‘First Watch Worn On The Moon’ or ‘NASA qualified’ text engraved in the caseback. This Speedmaster Professional ST345.0809 (or 145.0809 for the same watch with a leather strap) was produced in very limited numbers. Although unnumbered, OMEGA produced 1300 of these Speedy Moonphase watches in 1985. Around the same time (might have been a year later), OMEGA produced another series of Speedmaster watches (ref. 345.0810, Mark V design) with a Moonphase complication using the same movement. These were only limited to 400 pieces with regards to a titanium model and 300 pieces in gold/steel and were meant for the German market only. 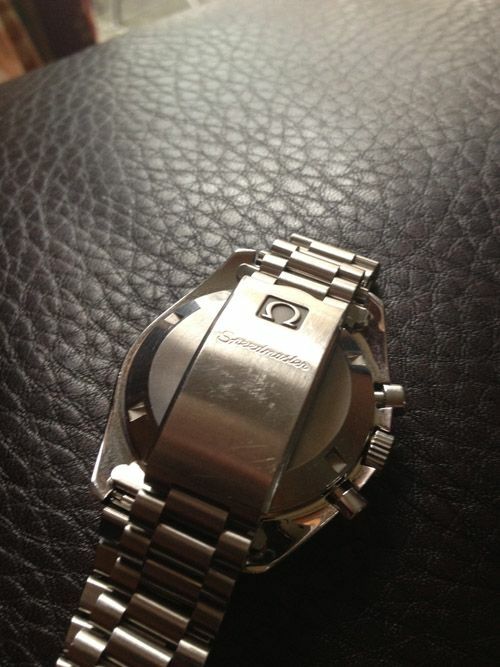 In total, one could say that OMEGA used 2000 caliber 866 movements in the mid-1980s for these watches. 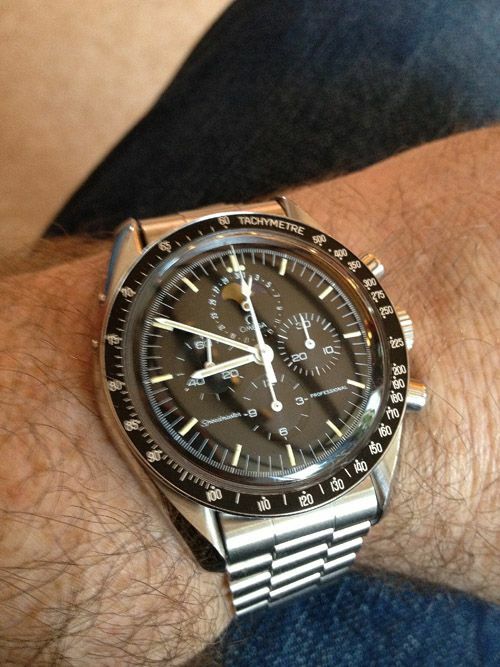 Thanks Robby for submitting your Speedmaster Professional Moonphase watch for our Speedy Tuesday! p.s. Looking for a Speedmaster Pro Moonphase as described in this blog post? Watch out for fake dials! Easy to recognize though, have a close look at the date disc (and the printing of the day numbers). Make sure they match the ones as posted in this topic. The date numerals on the lower half of the date sub register should be upside down.